New Delhi, February 9: Recording an involvement in money laundering case through various hawala channels, the Enforcement Directorate (ED) on Saturday registered a case against Falah-e-Insaniyat Foundation (FIF), a Pakistani terror group. The Enforcement Directorate has recorded a case under the Prevention of Money Laundering Act, PMLA. A senior ED official said that the case was registered under sections of the Prevention of Money Laundering Act (PMLA) on the basis of a case registered by the National Investigation Agency (NIA) in September 2018. The financial probe agency ED will try to establish money trail and to identify proceeds of crime that are suspected to be generated out of the criminal activities from the accused. On September 26, 2018, the NIA has arrested Mohammad Salman from south Delhi’s Nizamuddin area who was in regular touch with a Dubai-based Pakistani national, who in turn was connected with the deputy chief of FIF, a front-end organisation of proscribed terror group Lashkar-e-Taiba (LeT). According to the NIA case, Salman was alleged to have received funds from FIF operators through hawala channels. The NIA in its FIR claimed that the accused and other persons reportedly received money illegally from various people in Pakistan and the United Arab Emirates and these funds were utilised to carry out terrorist activities and to create unrest in India. The agency has recovered and seized cash amounting to Rs 1.56 lakh, Nepali currency worth Rs 43,000, 14 mobiles phones, five pen drives and other incriminating documents. Besides Salman, the NIA has also arrested FIF hawala conduit Mohammad Salim aka Mama, a resident of central Delhi’s Daryaganj, and Srinagar-based hawala courier Sajjad Abdul Wani. According to the NIA, FIF is a Lahore-based organisation established by the Jamaat-ud-Dawa and acts as a front for the LeT. 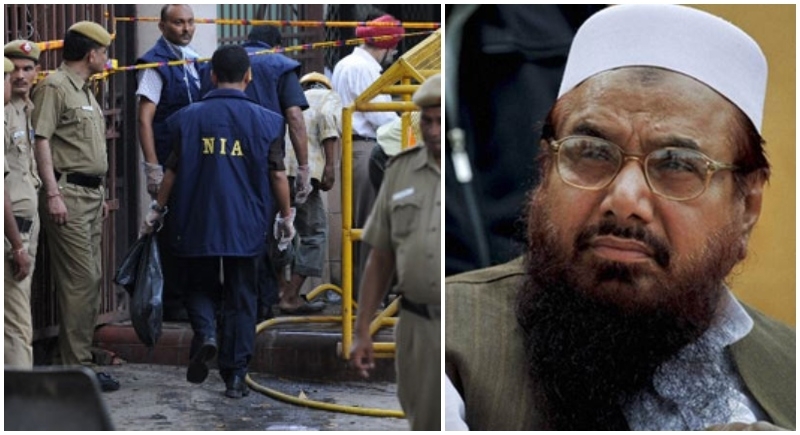 It was founded in 1990 by Hafiz Saeed, the mastermind of the 2008 Mumbai terror attack.